When we enter the kingdom, will we have a spirit body or a physical body, or perhaps, both? When the Corinthian church had difficulty grasping the resurrection, the Apostle Paul asked them, “How are the dead raised? And with what kind of body do they come” (1st Cor 15:35), so concerning “the resurrection of the dead. It is sown a perishable body, it is raised an imperishable body” (1st Cor 15:42), so guess what…we’re all going to die someday (Heb 9:27). This body is corruptible and perishable, unlike God Who is Spirit, so we all carry with us an “expiration date” but I don’t know when that is, but we do know it will be! The good news of the gospel is that we will be raised incorruptible because of Jesus. This mortality will put on immortality. As Paul says of the body, “it is sown in weakness, it is raised in power” (1st Cor 15:43a), but not by our power…it is by the very power of God to resurrect, just as Jesus showed in Lazarus’ being raised from the dead. Lazarus was four-days-dead and beyond all hope of being raised to life, but Jesus conquered the grave and defeated death, so He can raise whom He desires to raise, so for every child of God, “Just as we have borne the image of the earthy, we will also bear the image of the heavenly” (1st Cor 15:49), and in fact, someday, we shall see Christ for the very first time just as He is, and apparently, we’ll be somewhat like Him. I’ll have more on that later. Paul writes that the whole creation groans in eager expectation of the adoption of the children of God, but it’s more than the creation that groans; “but we ourselves, who have the firstfruits of the Spirit, groan inwardly as we wait eagerly for adoption as sons, the redemption of our bodies” (Rom 8:23). Now entering my mid-60’s, I am being biblical every morning…by groaning, and really, yearning for His appearance. That’s the glorious hope we have…even though, for a while, we’re trapped in a frail, feeble, clay vessel, but we should thank God that “this perishable must put on the imperishable, and this mortal must put on immortality. But when this perishable will have put on the imperishable, and this mortal will have put on immortality, then will come about the saying that is written, “Death is swallowed up in victory” (1st Cor 15:53-54). Paul is using the word for “bodies” as the Greek word (sōma) means “body of man or animals,” “a living, physical body,” so Paul uses this word interchangeably, going back and forth between the physical and spiritual bodies, as if they are inseparable, and they are! Jesus once warned to fear God, Who can cast both body and soul into hell (Matt 10:28), meaning not just the body or the soul, but both as making it one person. We are both body and soul, but our physical bodies are corruptible…but only for a time. After Jesus’ resurrection, He visited the disciples on the sea shore, and in fact, cooked them breakfast and later, He asked them for some bread and ate with them, so after Jesus physical body had died, it was resurrected to life again, although Jesus as God never ceased to exist. Jesus’ body died; Jesus, never! The point is we can eat and drink and do the things we like to do here on earth (minus sinful things) in the kingdom of God. We know that our bodies will be somewhat like His, but of course, not to the extent of the glory of God. In the Book of Revelation, the Apostle John writes of an upcoming wedding feast and it’s the marriage feast of the Lamb of God where He weds His Bride, the church. John is told to write, “Blessed are those who are invited to the marriage supper of the Lamb” (Rev 19:9), “for the marriage of the Lamb has come, and his Bride has made herself ready” (Rev 19:7), and what’s a wedding feast without food! When Thomas still doubted Jesus’ resurrection, Jesus showed him the marks or openings in His hands and in His feet (John 10:27), so Thomas declared, rightly so, “My Lord and my God” (John 20:28). If Jesus had not had a physical body, they wouldn’t have seen the marks in Jesus’ hands and feet. In fact, they wouldn’t have even seen Jesus. We know that Jesus is the firstborn among the brethren, meaning He conquered the grave and is the only One Who has both a spirit and physical body. Yes, God is spirit (John 4:24), but Jesus is both God and Man, while being fully both. I can’t explain how that works; I just know it’s true. I can’t explain electricity, but I’m not going to sit around in the dark. When Philip asked Jesus to see the Father, Jesus basically said, “Philip! How many years have I been with you and you still don’t get it? If you’ve seen me, you’ve seen the Father. Jesus showed us the Father in His own self. If you see how Jesus acted and what He said, you know to some extent what the Father is like. God is spirit and we are flesh, but the children who have been born again will receive an immortal body that will never die again. 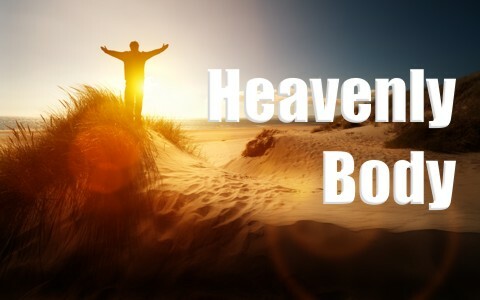 To be born again means you have only one death left; a physical one, but if you’re not born again, you’ll die twice; once physically and the other eternally. Before we figure all of this out, which of course we can’t this side of the veil, we need to make sure we are going to heaven. When God brings a person to repentance and faith in Christ, they are reborn into a child of God and are a new creation in Christ (2nd Cor 5:17), and we then begin to start knowing the Father, and the gospels give us a great description of the Father, because they give us a great description of Jesus. The Bible says we shall know, just as we are known by Him, or as Paul writes, “For now we see in a mirror dimly, but then face to face. Now I know in part; then I shall know fully, even as I have been fully known” (1st Cor 13:12), and God will know His own, and even better, He will be with us and we will finally see Him face to face (Rev 21:3; 22:4). Everything else will pale in comparison to being in His glorious presence, but since there will be a new heaven and a new earth (Rev 21:1), why wouldn’t we still be able to enjoy our five senses and the things God has created. Originally, it was all good (Gen 1:31), and someday, it will once again be all good, even greater than the Garden of Eden. Here is something else that might interest you: Will Heaven Be Similar to the Garden of Eden? Next post: What Does God Look Like?